After you have created this connection ShipStation pulls orders from SureDone at the time of opening the app and every 30 minutes afterwards. 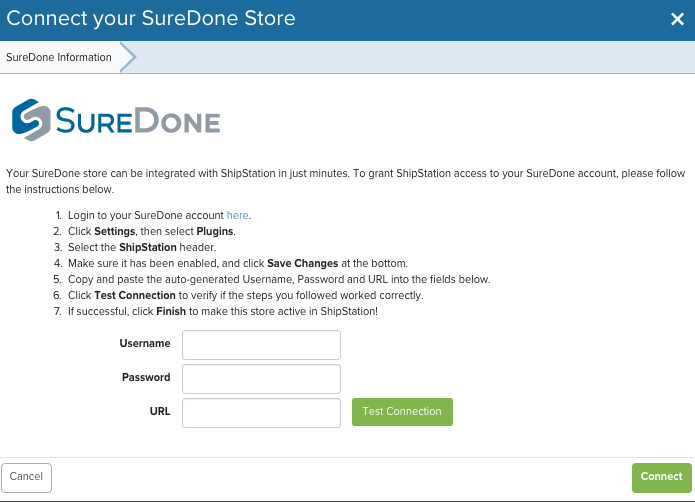 By default, SureDone sends the SKU field to ShipStation. If you want to setup a custom mapping of SKU to ShipStation, you can do that by adding ?skufield=[custom_field] in the URL that you send to ShipStation. Here is an example: https://plugins.suredone.com/shipstation/?skufield=customsku. If you have a location field you want mapped, you would enter ?locationfield=[location_field]. If you want both, you would change the 2nd ? to a &. Additional customization would include filtering out eBay and Amazon orders, preventing those from being sent to ShipStation. To remove eBay, add &ebay=0 at the end of your url. 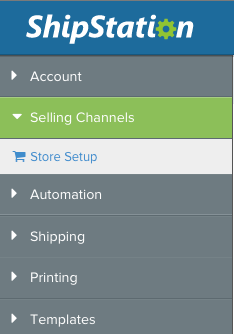 To filter out Amazon orders, add &amzn=0 and to filter out Walmart orders, add &walmart=0 The 0 means do not send this field to ShipStation.